FERGUSON, Mo. — Shoulder to shoulder under a huge tent, sitting on folding chairs and standing five deep in spots, some 400 people witnessed a symbolic — and even “historic” — event here July 26: the grand opening of the Ferguson Community Empowerment Center, a resource for hope and healing nearly three years after the violent protests that sparked a fresh look at racism nationwide. 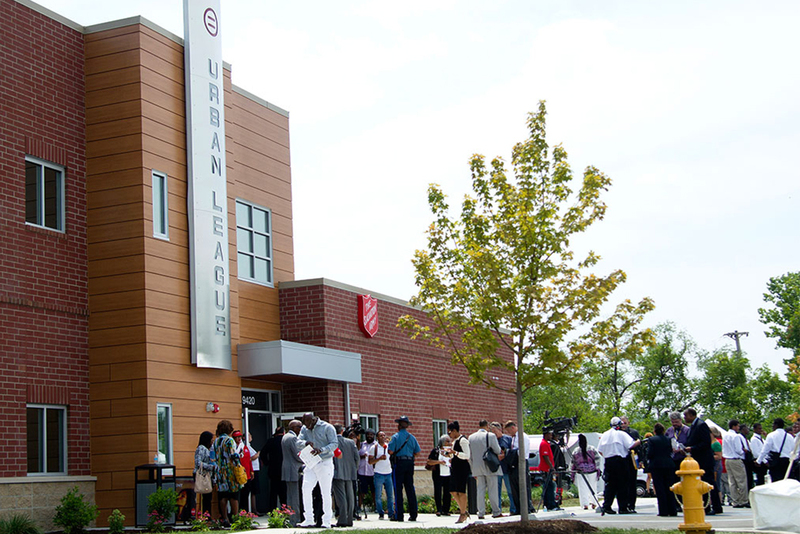 The new, two-story facility — debt-free, thanks to corporate donations — stands on the grounds of the burned-out QuikTrip gas station that served as “ground zero” for authorities responding to weeks of unrest following the police shooting death of teenager Michael Brown Jr. on Aug. 9, 2014. 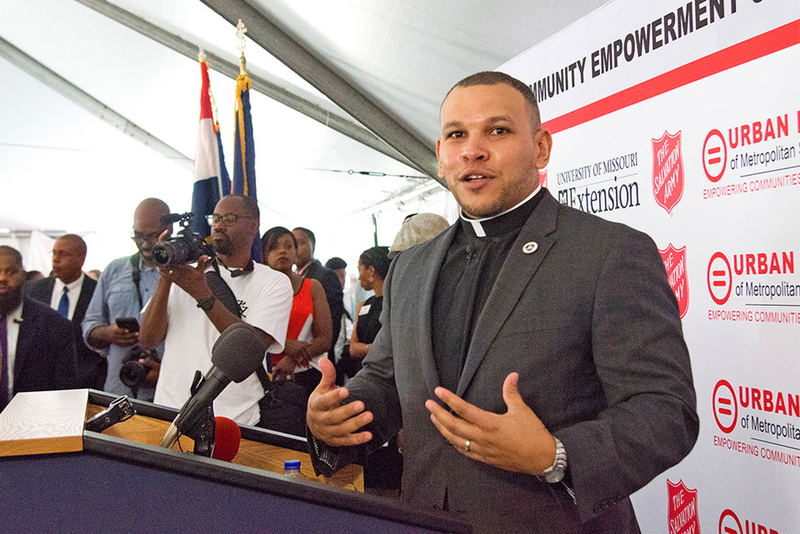 The center houses the work of four St. Louis-area partners determined to restore this beleaguered community: the Urban League of Metropolitan St. Louis Inc., The Salvation Army, the University of Missouri Extension and the Lutheran Hope Center—Ferguson. Together they will offer tutoring, counseling, job training/placement and help with food, clothing and housing. Based there will be the Rev. Micah Glenn, a Mission Field: USA national missionary and director of the Lutheran Hope Center. With a common motto — “Sharing Hope. Sharing Jesus.” — Glenn and Hope Center volunteers will offer the love of Jesus along with literacy education, mentoring and other assistance. Its “Readers to Leaders” program is expected to begin by early September with up to 30 students from kindergarten to third grade, and volunteers are needed. He credits “a lot of people really behind me, pushing me forward, supporting me, lifting me up, reminding me that I was precious and loved” — the same message he wants to share with the young people of Ferguson, something he considers a “really incredible” opportunity. “May we fight with only love,” wearing uniforms of “holiness and mercy” (Lt. Col. Lonneal Richardson, Northern Divisional commander of The Salvation Army). The center aims to “turn tragedy into triumph” and “transform Ferguson’s future in a positive and powerful way” (Tony Grandison Jr., representing U.S. Congressman Lacy Clay). “Justice, equality, opportunity, empowerment” (Wesley Bell, Ferguson city councilman, describing what the center represents). “This is a powerful first step to address the challenges” (Marc H. Morial, president and CEO of the National Urban League). “When we empower others … we open doors for all people to thrive” (George Brooks, president of U.S. Operations for United Parcel Service). “This facility is everything that we hoped it would be” (Michael P. McMillan, president and CEO of the St. Louis Urban League, noting that 75 percent of the project’s construction companies are African-American-owned). Paula Collins, a Ferguson resident for 15 years, said the riots and vandalism that destroyed parts of her city three years ago could have happened anywhere. Instead of a “dream come true,” seeing the Empowerment Center completed is more like “prayers coming true,” observed the Rev. Nate Ruback, president of the Lutheran Hope Center board of directors and pastor of Grace Lutheran Chapel, located a couple of miles from Ferguson. “In the midst of heartache and destruction, God still works out His plan. 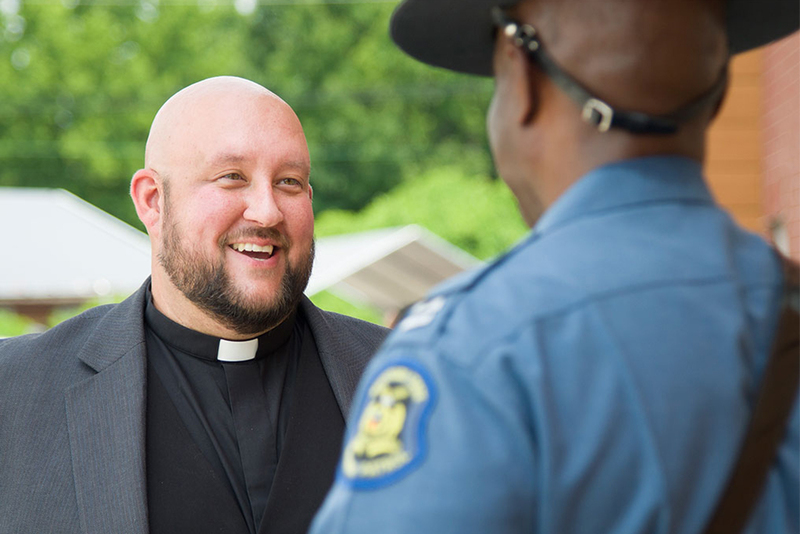 This is evidence of it,” said Ruback, one of several LCMS pastors who walked the streets of Ferguson, comforting people and helping with cleanup in the days and weeks following the riots. There are no LCMS churches in Ferguson, but five nearby Synod congregations — Grace Chapel, Chapel of the Cross, Salem, Immanuel and Blessed Savior — founded the Lutheran Hope Center, with assistance from the LCMS Office of National Mission, Missouri District and Lutheran High School North. Some of the high school’s students live in Ferguson or travel through the community to get to class, and Glenn, the Hope Center missionary, is a graduate of the school, notes Principal Tim Brackman. Brackman said he hopes to “see our students providing tutoring services to children from the community” at the center and possibly doing “volunteer service in the area.” Lutheran North also could provide space for large meetings and activities, he said. 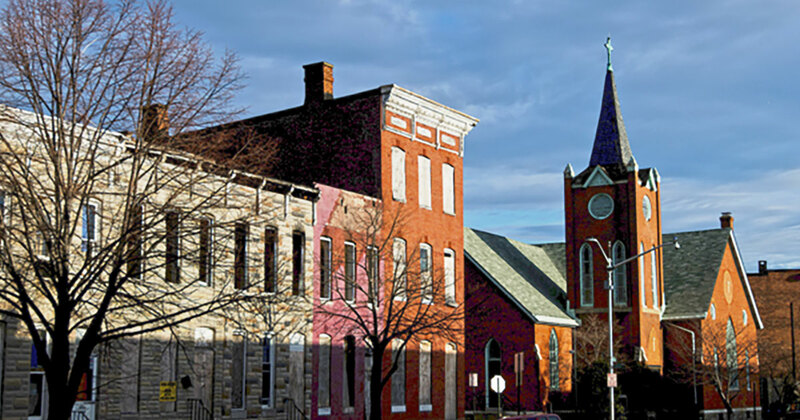 He described the center as “a unique example of how the Lutheran Church can step out into the community and provide support and offer strength. Back then, when Lutheran pastors from the nearby congregations and the Synod’s International Center spent time in Ferguson, talking and praying with those they met, the Rev. Dr. Roosevelt Gray Jr., director of LCMS Black Ministry, was among them. Gray recalled assuring the residents that God — and The Lutheran Church—Missouri Synod — would not abandon them. 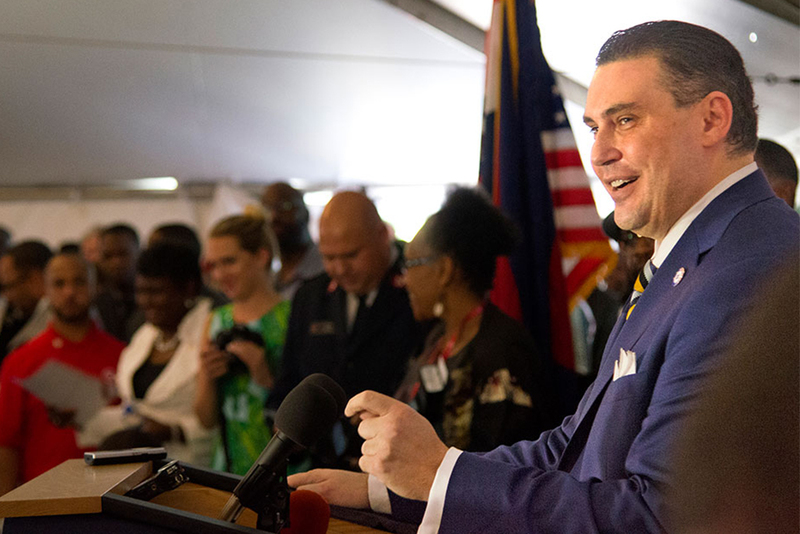 Now, with the Lutheran Hope Center a reality, the Synod has a permanent base for reaching out to hurting people — “to tell the Good News about Jesus” — every day, Gray noted. The Urban League’s McMillan called the grand opening of the Empowerment Center “historic” and the Synod’s involvement “a fantastic thing. “From the very beginning, the Lutheran Church played a key role in trying to bring about healing, positive change, making a difference,” McMillan told Reporter. What started three years ago as a “ministry of presence” — just being there, as peacemakers offering Christ’s love and hope in the midst of turmoil, serving residents, business owners and police officers — is now a “flagship for us, in how we can work toward racial reconciliation, how we can be at the center of serving” in like communities nationwide, Schave says. 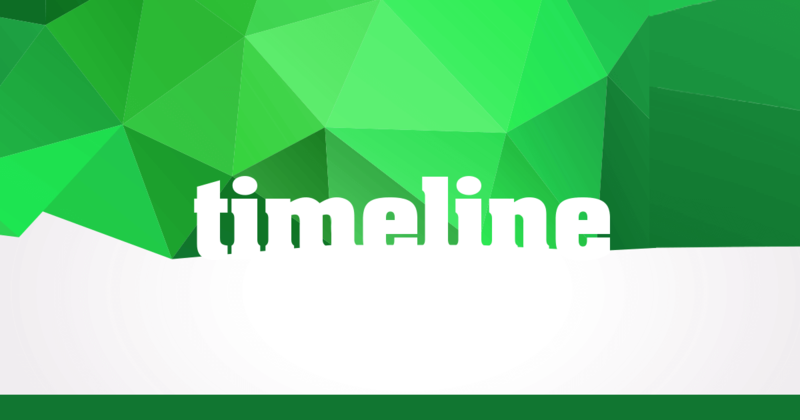 He is grateful that Lutherans have “stepped up” to make this ministry possible, he said, and noted that $70,000 from the 2016 LCMS convention’s National Offering went toward the establishment of the Lutheran Hope Center. For a predominantly white church body like the Missouri Synod to be “at the heart of racial reconciliation in America” is nothing short of “monumental,” he said, citing a Pew Research Center report on racial diversity in religious groups. Schave recalled visiting the destroyed QuikTrip property before the Empowerment Center construction began and seeing a 2-foot tree growing out of the concrete rubble. “If we plant this seed of mercy and love and telling the Good News of Jesus, and loving even our enemies, if we plant that seed, you can’t tell me that there’s any harder soil than Ferguson,” he said. Schave said he was struck by the symbolism. “It’s not always comfortable, it’s not always easy, the soil is tough,” he said. 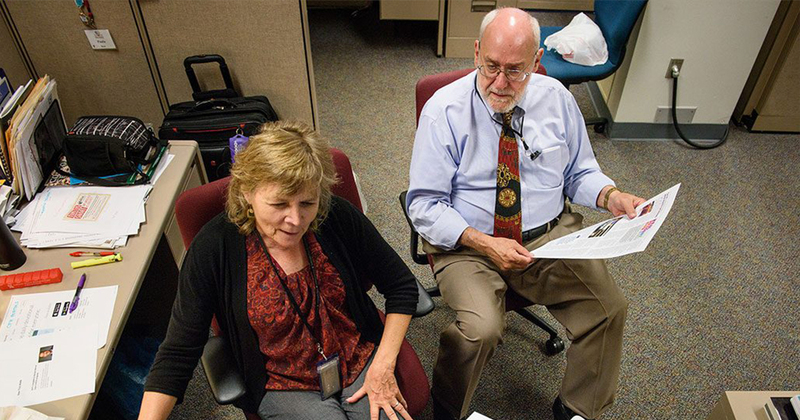 “But we need missionaries at this time” in the U.S., the world’s third-largest mission field. For more information about the Lutheran Hope Center—Ferguson (including information on volunteering and providing support), visit TheLutheranHopeCenter.org. While I hope the change and growth that is needed happens, I have to sadly say that I have little confidence that will come about. This is primarily because of an unwillingness to speak truth and recognize what is really needed. Ferguson was the scene of one cop defending his life against a violent criminal. There weren’t “violent protests”, there were violent mobs that rioted, looted, and destroyed the city using false cries as racism as an excuse for their inexcusable actions. And contrary to the statement by the resident, this wasn’t something that could have happened anywhere. History and experience reveals that. It hasn’t happened just anywhere. One only needs to contrast the reaction to the shooting of Michael Brown Jr with the shooting of Justine Damond. Her name will likely not be remembered as much as Michael Brown Jr. Yet she was an innocent white woman shot by a black, Somali police officer in Minneapolis after she called the police to report a crime. There were no riots, looting, or destruction. Until the Ferguson community can take responsibility for their own actions and behavior, I find it unlikely that there will be success in rebuilding that community. And it won’t help if organizations don’t speak truthfully to them about the need to realistically assess the problems. But I pray nonetheless that God’s will guides the efforts here. Well said. I too live in Ferguson. I live in reality.